Employee benefits and group coverage for NM medical practices & more. Our representatives have over 50 years of combined experience as employee benefits brokers and consultants. We specialize in fully-insured and self-funded medical plan programs, including managed care and consumer-directed options such as Health Savings Accounts (HSAs) and Health Reimbursement Accounts (HRAs). Furthermore, we assist employers with the implementation and ongoing administration of dental and vision insurance coverage, group life and disability insurance plans, as well as voluntary/worksite benefits. We help businesses throughout New Mexico find group coverage. In addition to providing group coverage for NM medical practices, physicians, and medical providers, we work with a broad range of clientele in other industries. Our clients range from locally owned private companies and non-profits, to major New Mexico employers and multi-state organizations. We also advise and assist individuals and families not eligible for group benefits with their health care and other insurance needs. 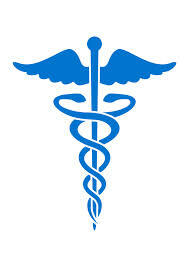 Contact us to discuss health care solutions for your business, or visit our health care reform page.